Khalil Gibran, a famous poet and writer, once said “Forget not that the earth delights to feel your bare feet and the winds long to play with your hair”. In simple words, he meant, don’t forget to protect the environment! There are a lot of ways to save Mother Nature – this piece of content is exclusively for home owners to build green homes and create a ‘healthier tomorrow’. There has been an increasing awareness among people to go for green homes instead of modern homes, which are not only expensive but require long-term hidden expenses, with respect to their maintenance. Even worse, they are harmful to the nature. 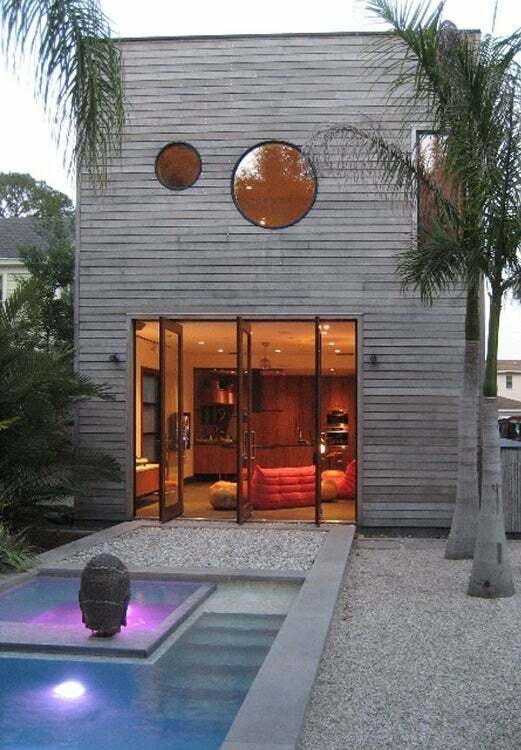 Green homes are low-impact homes that have cleared the LEED for Homes green building certification program. 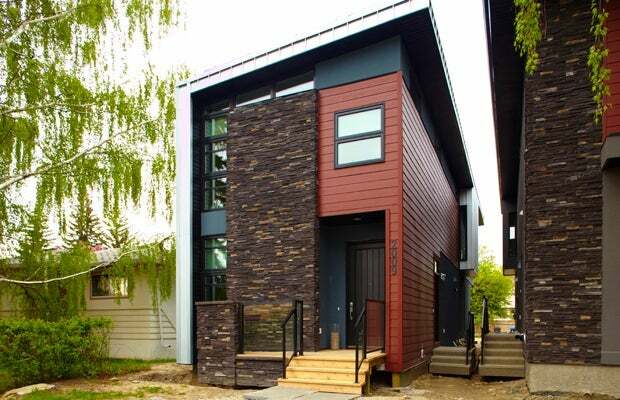 They are also called net zero energy homes, eco homes, and nature-friendly homes. What’s special about these homes is that they combine traditional home building techniques with modern technological advancements to ensure sustainability of materials and better health of residents. Walk into any green home, and you will find that there are nature-friendly materials all around. It not only adds to the beauty of the house but also ensures there is less power consumption, heat loss, and minimum carbon footprint on Earth. Solar energy and rain water harvesting systems are a couple of techniques used for accomplishing this mission. Designed by Naikoon Contracting & Kerschbaumer Des, Midori Uchi is recognized by many as one of the greenest homes in Canada. It has three different levels of green certifications including that of LEED. Built Green Canada Platinum has appreciated the energy-saving ability of this home, because it generates more power than it consumes. Looking at the house, one can say this home should fit in the budget and needs of most green home owners. 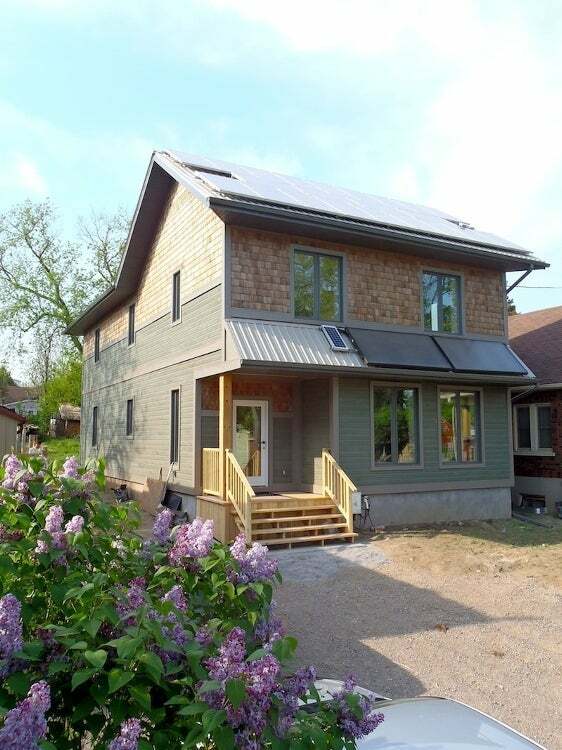 Chris Magwood calls this home in Peterborough, Ontario as the greenest in Canada. The reason? It's highly energy-efficient (mostly uses R-35 and R-28 bulbs), has high air quality that is free from chemicals and harmful gases, there is no plastic, no drywall, and it’s made of rare local materials. 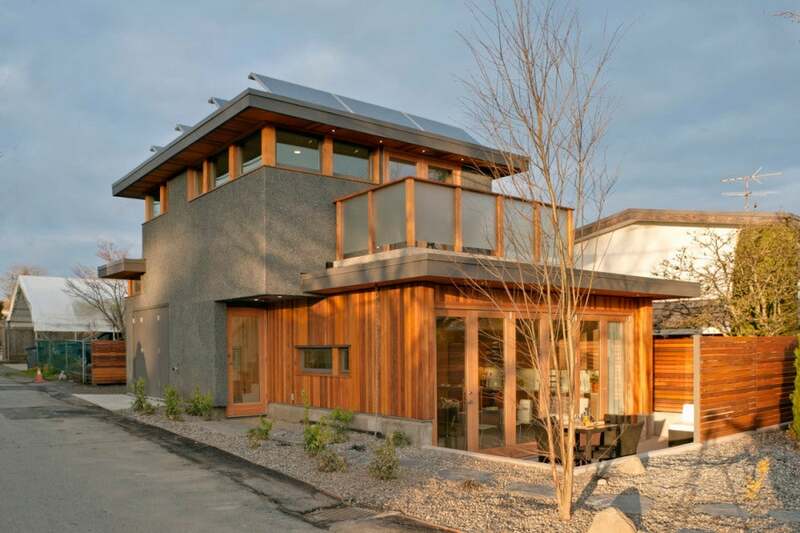 What’s more, the house uses less water and embodied energy to add to the owner’s savings. 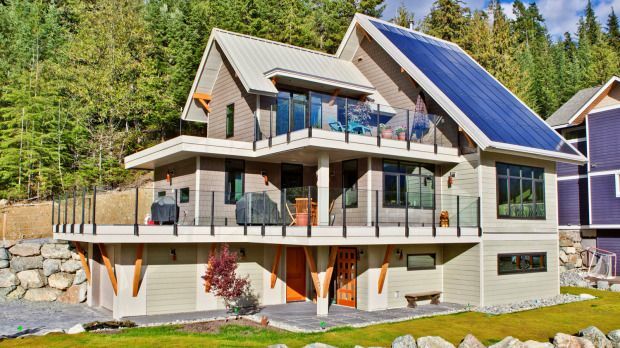 Awarded the Most Efficient House of the year by Energuide Rating Service at the Canadian Home Builders, this house brings together a range of eco-friendly stuff such as photovoltaic panels, thermosolar power, and a geothermal heating system. The home owners are a happy lot because there's no electricity bill at the end of the year. Money saved is money earned! 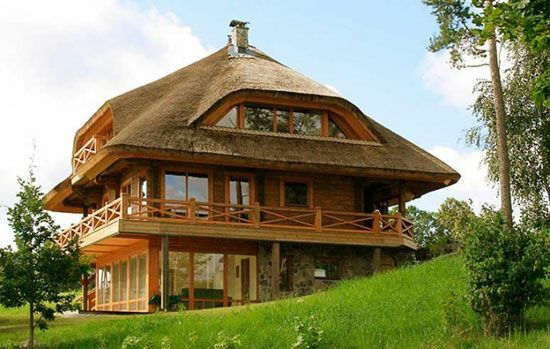 Take a look at this amazing nature-friendly home built using straw. Nope, not by real estate builders but by nature-loving college students for a program called Sustainable Building Design. The home consists of a classroom, a thrift store, and a food bank to meet the needs of every student’s demand. This is actually a “Laneway house” meaning it's a small house constructed in the backyard of a big house. It's also referred to as accessory dwelling. It meets the requirements of LEED and Living Building Challenge certification systems and is almost completely made of renewable resources. 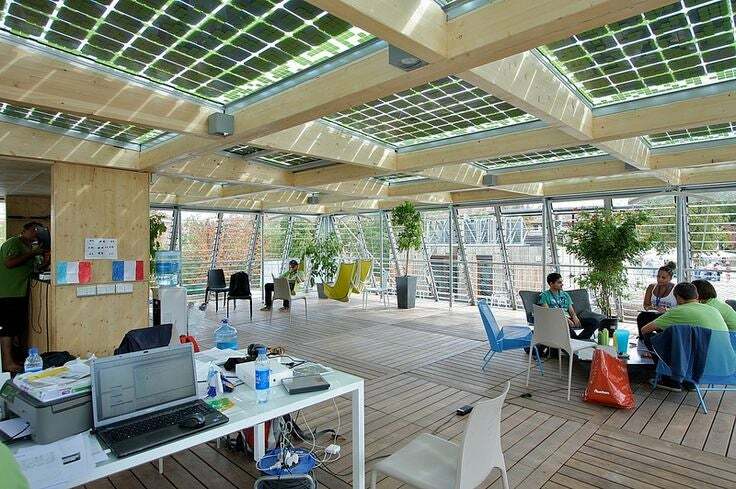 Why not go for a solar office? The one you see here is the NursTech Office Building located in Gridley, California. It is highly energy efficient and utilizes natural lighting to minimize the use of artificial lights in the building. And yeah, it's built with rammed earth walls. House that makes an income - A mega-money saver! Tagged as "the house that makes an income" by the builders, this one saves a good amount of money even on essential utilities such as water, heat, and electricity. 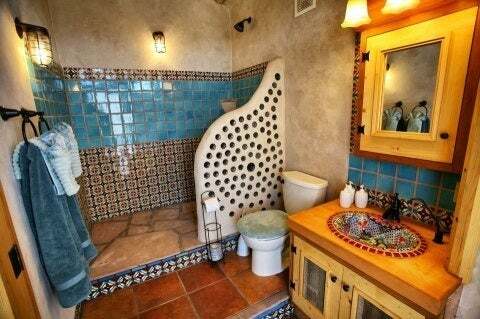 Yes, it's LEED Platinum certified. The reason why you should consider a home like this is because it is healthy, energy-efficient, and a mega money-saver. The hunger among a team of nature-loving students to build a solar-powered, self-reliant home lead to this beautiful abode in New York St. It comprises bamboo floors, energy-efficient living room, sustainable bedrooms, cedar siding, coated metal sheet roofing, and solar panels. 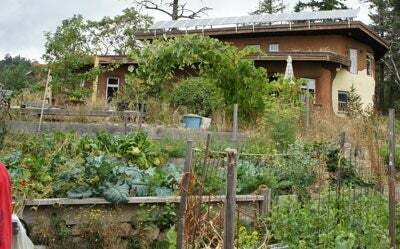 Imagine a home that features energy-saving systems, grey water filtration system, and rammed earth wall. This one has it all. 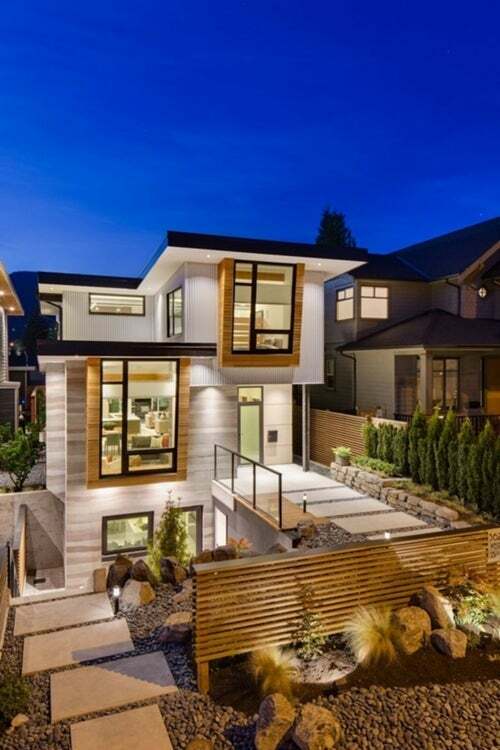 Built by renowned home builder Naikoon Contracting Ltd., this house has three levels of green certification including R-2000 energy efficiency certification and Built Green Canada Platinum No wonder Darrell Mussatto, the Mayor of North Vancouver liked it. Built by Ann and Gord, this 2150 square-foot home comprises a living hall, two kitchens, five bedrooms, a couple of bathrooms - all made of mud and milkpaint. Truly inspiring, isn’t it? Some of its eco-friendly specs include earthen floors, solar thermal insulation system, rainwater harvesting system, solar photovoltaics, and an organic food garden. 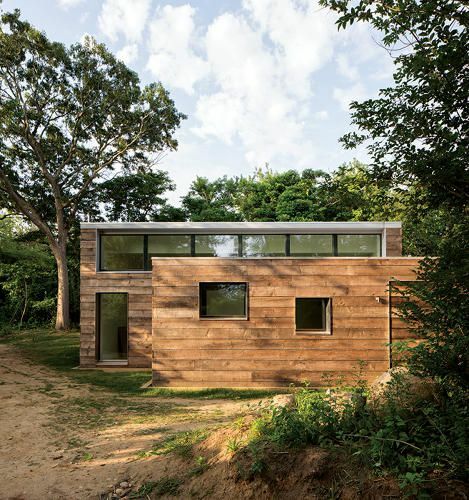 Can you guess the age of this plywood residence? 5 years? 10 years? 15? Nope, it's a 20-year old house built in 1995 that never seems to age in appearance and utility. The home breathes through its rooftop solar panels and basalt stone walls and emits zero carbon. While most homes in Canada are surrounded by buildings, this one enjoys the presence of on-site wind turbines that convert mechanical power into electricity, further maximizing the energy efficiency of the home. 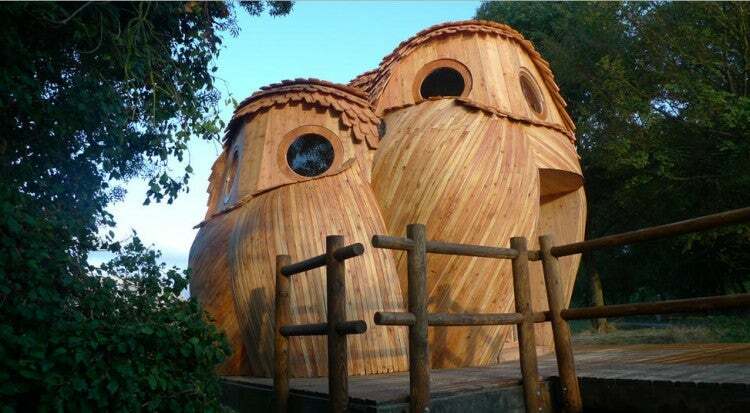 Inspired by ground-dwelling owls in the area, renowned designer Les Guetteurs came up with this lovely owl cabin home that attracts hundreds of visitors every month. When you're there, be prepared to share your room with three owls - wooden owls, for some fun. The house is made of plywood, curved wood, and shingles and it can accomodate up to nine people at once. Built in an area of 2218 square feet by Dwell Development, this home stands as an inspiring example of how a green home can be self-sufficient and also look good at the same time. The experienced hands of famous designers Caron Architecture seriously add more value to the architecture and design of the rooms. 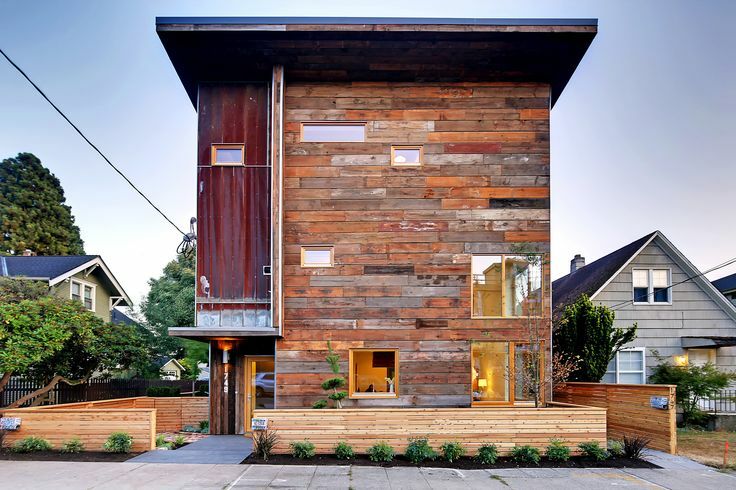 It's one of the very few green homes in Seattle's urban community - and it's one worth checking out for an idea of how a beautiful green home should look like. Nestled in a nature reserve in England, this 2400 square-ft. home takes sustainability to the next level. There is a geothermal heating pump below ground level to produce more electricity than it consumes. Being a part of the green home project called Lower Mill Estate makes it one of the best vacation homes as well. It has all the green certifications but what made it so famous was the fact that it was the most expensive green home to be sold in the country at $14.2 million! A beautiful green home built using high quality wood, this one features a passive design that reduces energy consumption by a whooping 75%. The HRV pump system does its best to expel toxic air out and bring high quality air indoors. What’s more, there are eco-friendly doors and windows that allow heat outside and keep the humidity low at indoors. 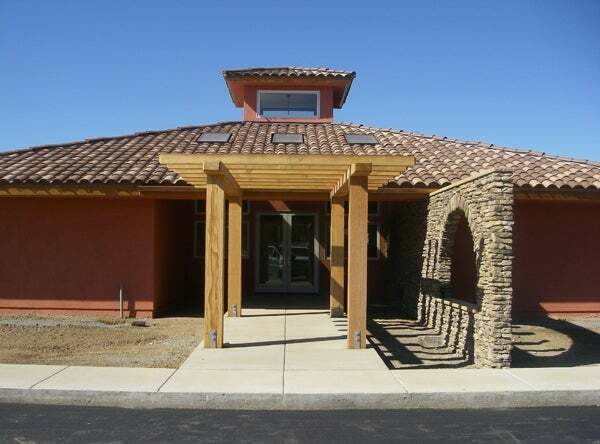 Overall, the home is efficient, energy-saving, and comfortable for the residents. Built using natural materials and comprising an advanced groundwater recycle system to fill the pond, this is yet another innovative eco-friendly home designed by Patkau Architects, who made headlines with their “Tula House". The doors and windows face the lake giving visitors a stunning view of the surrounding area. A perfect home for nature lovers! 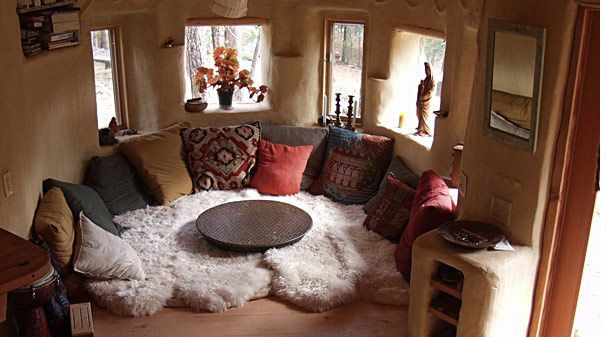 Imagine an all-natural home that can travel from one place to another. Well, that's the selling point of this green home. 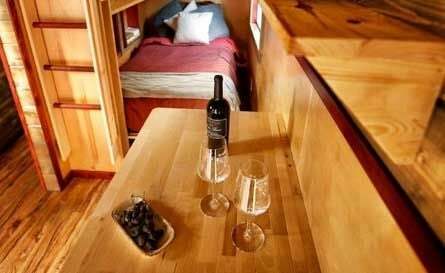 Designed and built by Hummingbird Micro Homes, it's a sustainable micro home on wheels that is not only budget-friendly but also energy-efficient. The builders are more than happy to craft one according to your specifications. 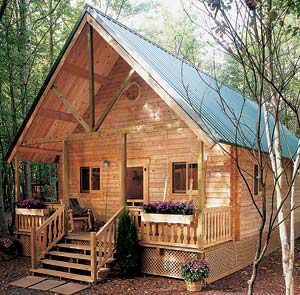 Mostly made of high-quality wood, the home is comfortable and convenient to live for a family of two to three. With most home owners preferring to go with small and affordable green homes, masterpieces like the one you see here are likely to take the cake in the future. Natural lighting, less space, more comfort, and affordability are a few good reasons why this could be an ideal choice for green home lovers like you. Wow! See this home for a change. 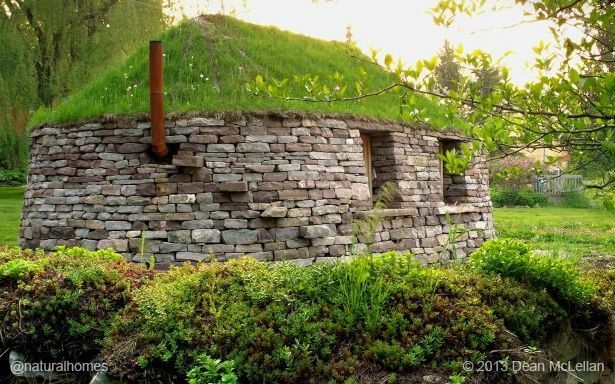 The upper half of the home is completely green while the lower half is made of dry stone. The gap between stones are tightly sealed using peat and clay to prevent air from escaping or coming in. Clay helps absorbs excess water during rainy season, and the stones help keep the interior cool during the summer. A home like this – is guaranteed to give you the best experience of living in a green home. 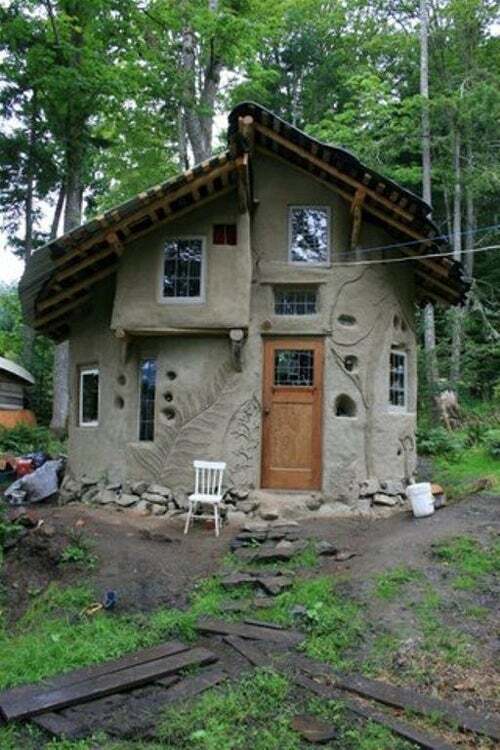 Built with mud and earth-friendly materials, this house is called the "House of Earth". The pros at housealive.org do a great job of not only building homes using cob and straw-clay but also teach students on how to build masterpieces like these on their own. 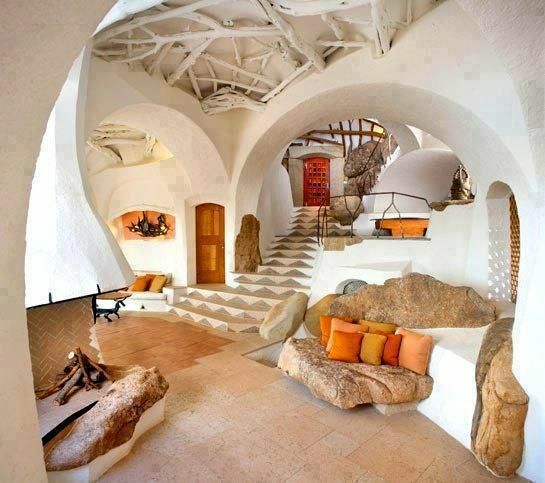 Living in an earth house is always fun, fulfilling, and exciting. Students who have been there know it! Building homes using bamboo is a 5000-year old Chinese practice that keeps the people and environment clean and healthy. Here is one, built mostly using bamboo. 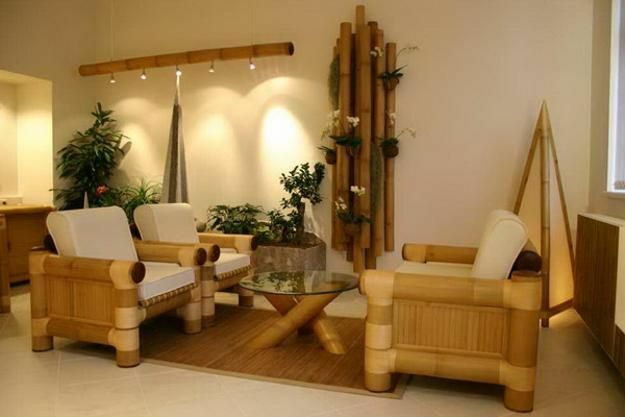 The furniture, flooring, wall coverings, and decor accessories are all crafted using bamboo as you can see in the picture. One of the best ways to celebrate Earth day is to build homes using eco-friendly materials and incorporating sustainable designs. 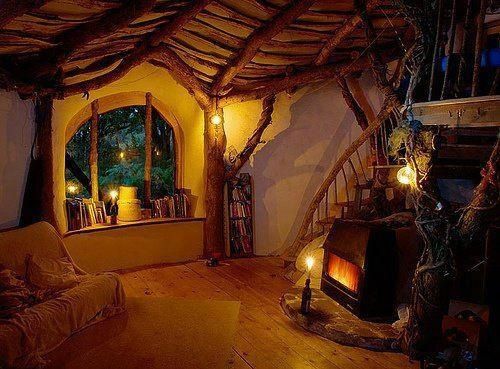 This is one perfect example of such a home. As you can see, it's built to allow natural lighting in while retaining some innovative architectural designs. Home furnishing is done using reclaimed materials and they are designed to minimize the carbon footprint in the surrounding area. When you live in a home like this, you don't need too many lights or an air-conditioner. The home itself is designed in such a way that the use of artificial equipment is eliminated, which actually adds to the efficiency of the home. It features a swimming pool which is filled with 60,000 liters of water through rainwater harvesting. How cool is that? Do you own a small piece of land? Have the basic carpentry skills? If you said yes, then this is for you. 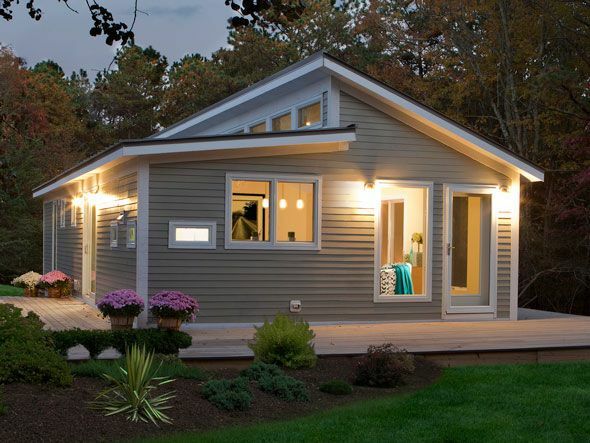 What you see here is a 14-by-20-foot cozy one-room home constructed in weeks under just $4000. The sleeping loft is designed to prevent stagnation of rain water and the interiors are crafted using natural materials according to the owner's choice. This earth house, made of concrete and polyurethane, acts as a blanket insulating the house and preventing up to 50% heat loss. It keeps you warm during the winter and ensures there's no further temperature buildup during the summer. You will not only save precious money on your utility bills but also feel comfortable and protected. Nicknamed the "Rolls Royce of treehouses" by the builders, this house features wood flooring and double gazed windows and a range of sustainable materials all intended to offer you a great feel of safety and comfort while you are looking for a quick getaway from a stressful city life. All it takes to build this highly-insulated tree house is just five short days even on an affordable budget. It’s the best budget green home for a family of four! Quietly nestled in the beautiful Sun City, this home is bigger and more spacious than most other homes in our list. It comprises a ground floor and a couple more - all made of environment-friendly materials. Head to the top to get a picturesque view of the surroundings in the night - and experience a whole new way of living in an eco home. 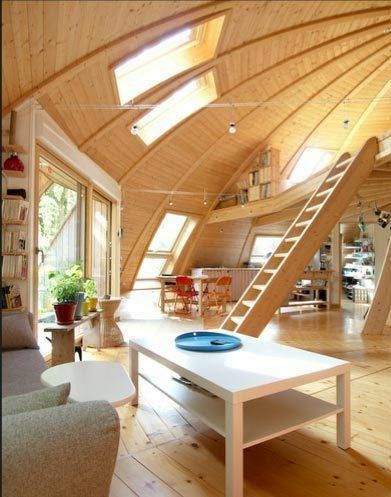 Blending conventional building and latest technology, this dome house has inspired many people in and around France. It gets the sunshine in during the winter and shuts it during the summer. What's more, it's composed of high-quality timber, insulated beams, and granulated cork - all intended to prevent energy from slipping through the cracks. It lets you live on a low energy expense while giving you the best of home living experience. 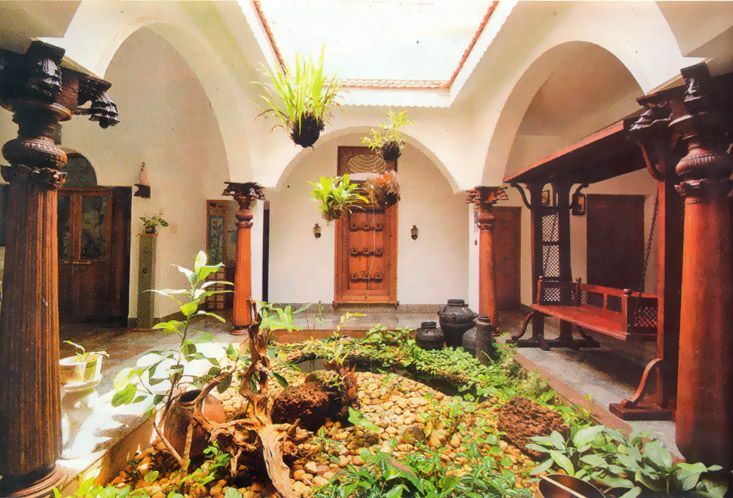 Combining traditional and modern methods of home building, this masterpiece in Kerala brings the outdoor garden to your indoors and offers you relaxation and great peace of mind. A lot of green in the indoors energizes the air you breath with fresh oxygen and ensures positive health of your family members. 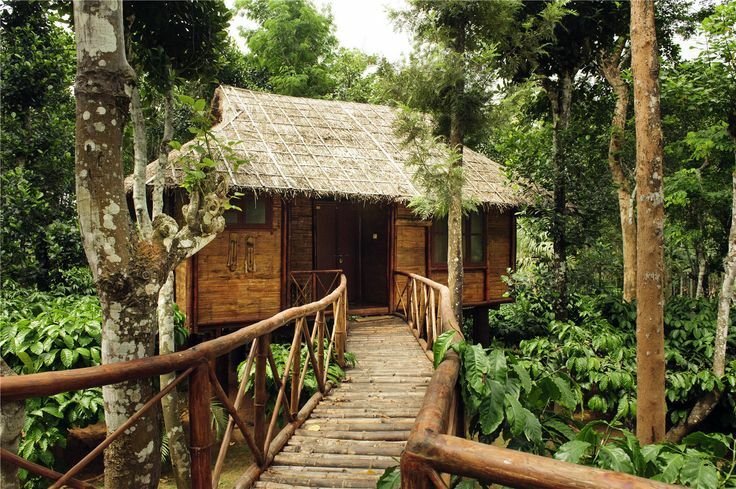 Located in the Wayanad District of Kerala, this eco cottage is made of plush bamboo and other sustainable materials. The thatched roof and wooden flooring ensure that the top and bottom of the cottage give you more privacy and an enlightened mood especially if you are on your honeymoon. The home itself is surrounded by coffee plantation and vegetable garden that will supply your morning coffee and some delicious local recipes. 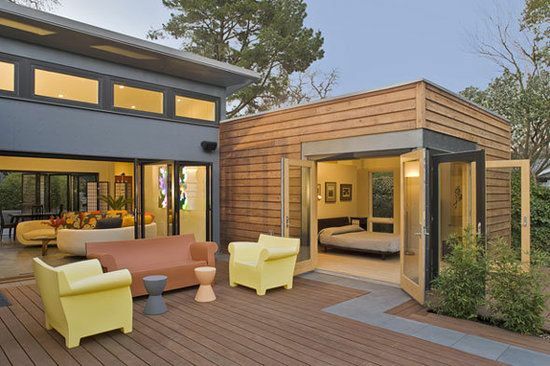 Have a penchant for green homes? Love spending time by the poolside? If you said, this one is just for you. In addition to meeting the criteria of an all-natural home, this one features a beautiful outdoor pool just to help you relax while you return from work. The outdoor flooring ia laid using tiny pebbles - just walk on it without slippers, and you will experience the effects of an accupuncture therapy. What's more, it's also one of the most economical green homes around. Can't ask for more! Have you heard of passive design? Well, this is one such home that adjusts the internal temperature to your needs by taking into account the existing climatic conditions. It blocks or allows heat through its purpose-built energy systems depending on whether it is summer or winter, minimizes greenhouse gas emissions, and ultimately saves money on your electricity bills while also increasing the life span of your house. 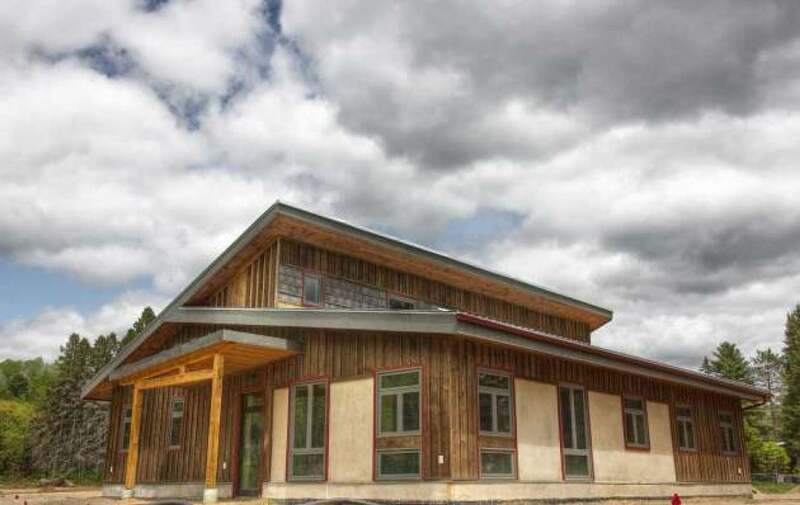 The primary requirement of a net zero home is that it should be properly insulated and sealed so that there is no loss of air or heat - this home meets the criteria perfectly. 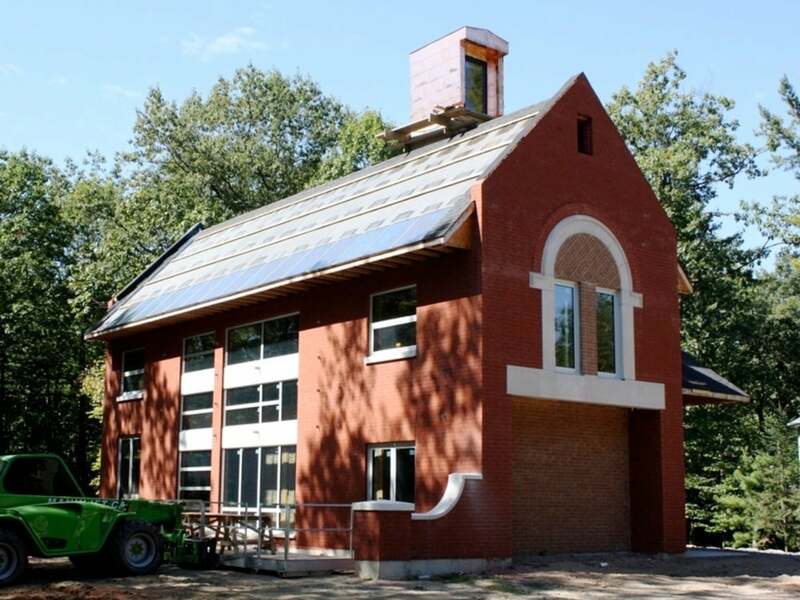 Built in an area of 2,200-square-foot, this three-storey building features massive solar panels covering about 600 square foot, and a spray foam insulation system which is made of only vegetable oil and recycled plastics. The house is estimated to be about $1.2-million. 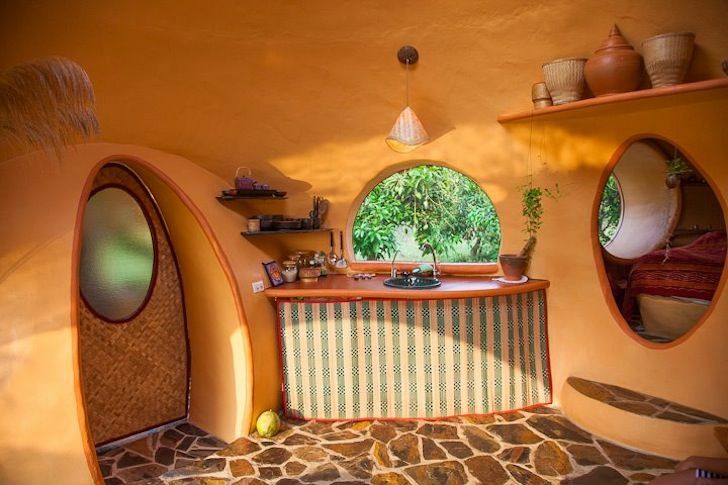 Earthship homes are all the rage these days, and this one is one such home that serves multiple purposes of saving Mother Nature. 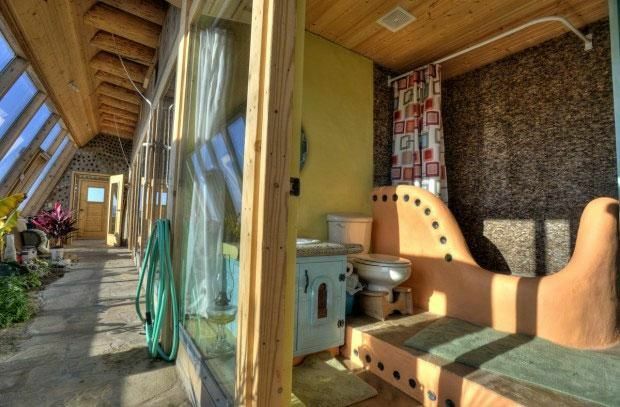 Designed by Earthship Biotecture of Taos, this home is completely made of solar and low-cost recycled materials such as earth-filled tires to make a passive income for the home. The thermal mass ensures the internal temperature is regulated according to the climate. On the whole, it's convenient, comfortable, and affordable. 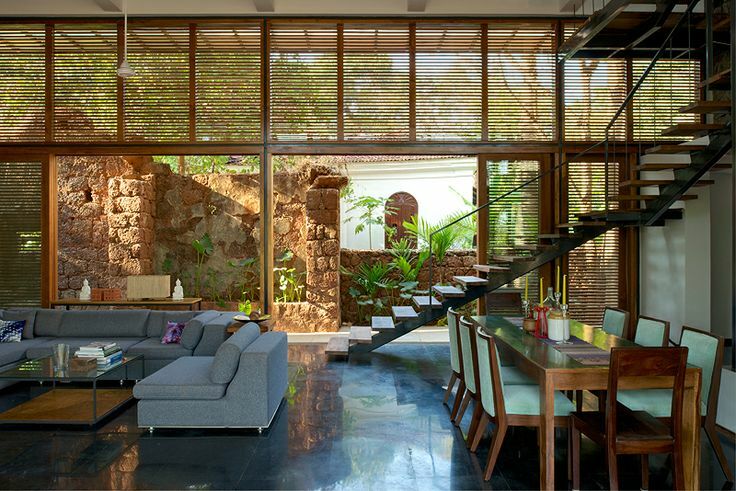 Much different from the other homes in our list, this one uses transparent solar panel cieling, which acts as a rain-forest canopy abosorbing almost all solar energy and one-third of rain water for harvesting. It allows better air flow keeping the indoor cool at all times, so you can switch off your cooling equipment. 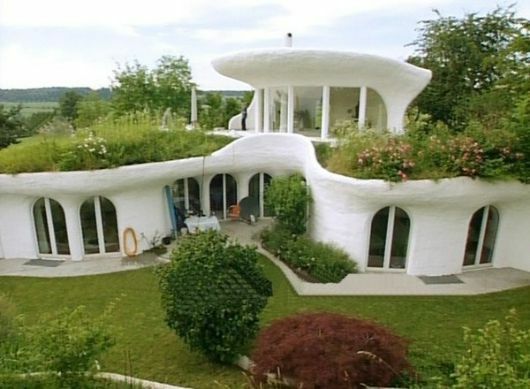 Earthships are so popular primarily because they are more self-sufficient than their counterparts. They can be constructed only by using locally sourced and recycled materials, and most importantly, they are affordable. What's even more interesting is that these homes consume no electricity or water. So imagine how much of a saving that can be? 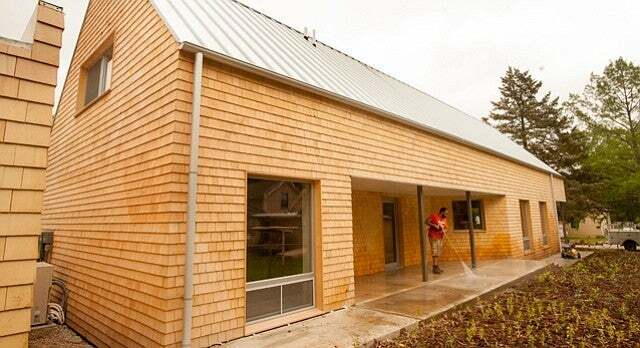 Built on a budget of just € 3,680, this is one of the cheapest green homes you can ever find. Look at the entrance - it's as beautiful as a bird's nest but inside, it's more spacious than what it looks from the outside. Simon, the person who built it, sure deserves credit. Good work, man! History repeats itself, and so do bamboo homes. What was an integral home building material for our ancestors has again caught the attention of people after decades. 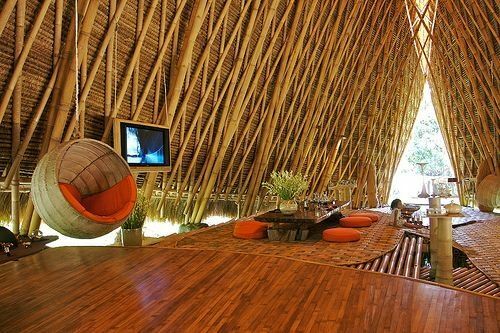 Here, you are looking at a home that is made of only bamboo. The flooring, roof, furniture, cabinets - they are all bamboo. And what's even more interesting about this house is that it's earthquake resistant. Howz that? While most home owners struggle to find eco homes even in the range of $50,000, Steve was able to build his own for less than $6,000 in less than six weeks. 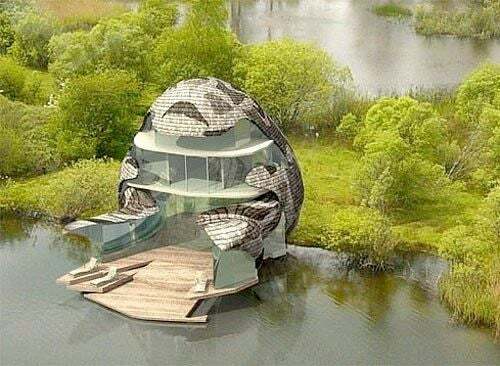 It's a dome shaped house, built using compressed earth blocks, overlooking a beautiful pond and a floral garden at the backyard. The picture itself tells us the story! 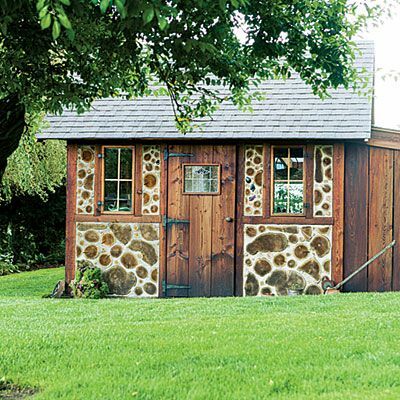 What looks like a vacation cabin or a fairy-tale home is actually the house of two gardeners - Gail and Mark Dupar. It is made of recycled beams found in a local beach, yard-sale windows, and warm brick floor. Darker bottles, flower pots, and twiggy prunings make the interior more lively and refreshing. 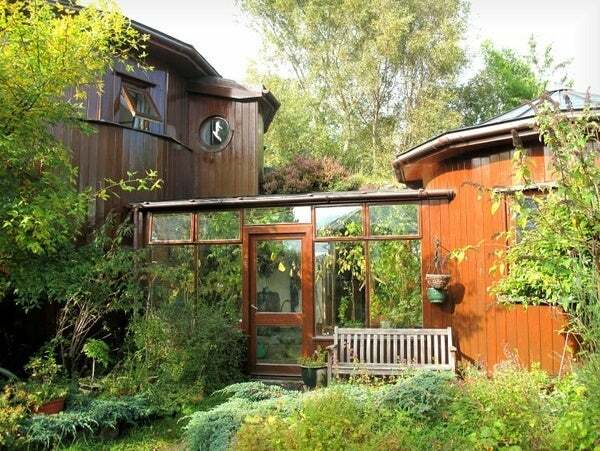 The house itself is located in Findhorn, one of the most popular ecocommunities in the world. 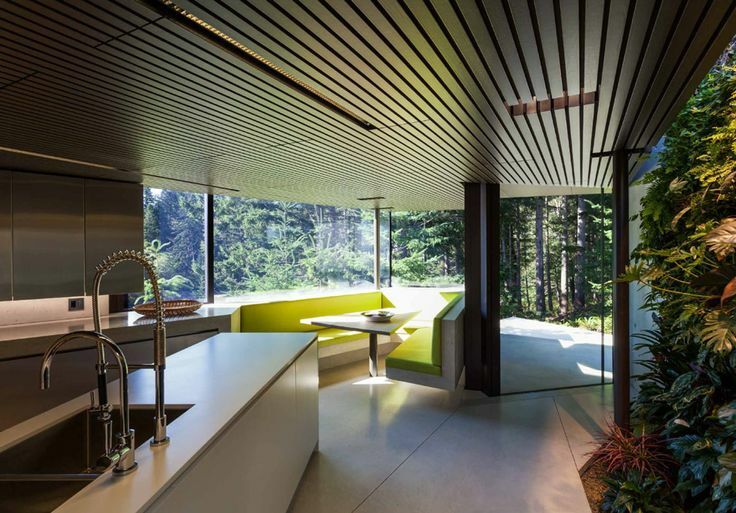 Needless to say, the entire home is built using forest sources and some locally sourced materials such as fiberglass. There is also an upper floor that is 100% natural and environment-friendly. 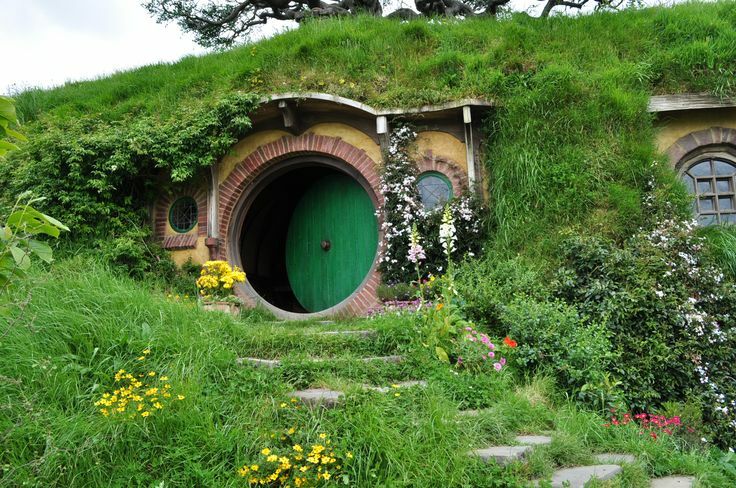 This underground house in New Zealand features the now-popular Hobbit design and architecture. The round doors and windows give a cartoonish feel but inside, the home has everything required to make you feel like a proud owner. Again, a nature home for the budget-conscious home owners. Designed using the latest green home building techniques, this home is build on a small area in order to minimize the impact on nature. It's actually located in a small island in British Columbia, so you need a boat to reach the place. But once you are in there, you will be convinced that there is no better place to escape from the hustle and bustle of your busy city life. Did you know that this home is almost 50 years old? It was built in 1967 by sculptor Barbara Spring and insurance salesman-turned-carpenter Lloyd Kahn. Philip Johnson fell with the house at first sight and didn't think twice to purchase it. The eco-friendly nature and overall feel of the house are what seem to have inspired him, according to the sculptor. 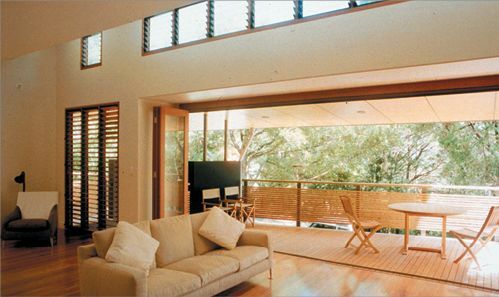 A nature-friendly home is one that is made of natural items and a bit of recycled materials. This is one such home built by the ‘mud girls’ using clay from a neighbor’s pond, straw from a farmer land (of course, with his permission), and bags of sand from a nearby spot. It’s not only environment-friendly but also a real inspiration to people in the neighborhood. Good job ‘mud girls’! 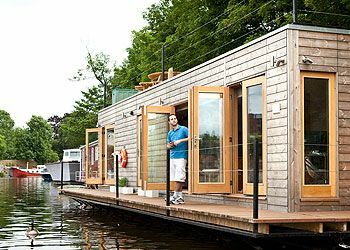 Building your own floating eco home is the best way to say goodbye to your noisy apartment and get a step closer to nature. The home that you see here has highly insulated walls and floors and comprises sedums that keep your the interiors warm during winter and cool during summer. Also, the home boasts an eco-friendly design and there is a patented system to purify waste water and make it suitable for cleaning purposes. This is a simple DIY living wall in which natural plants are planted and allowed to grow. 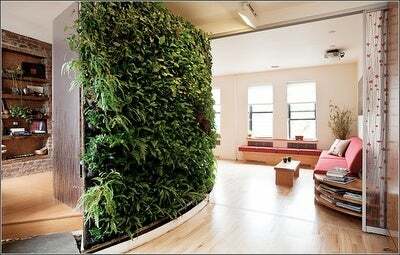 You can have this type of walls in indoors as well as outdoors depending on your choice. 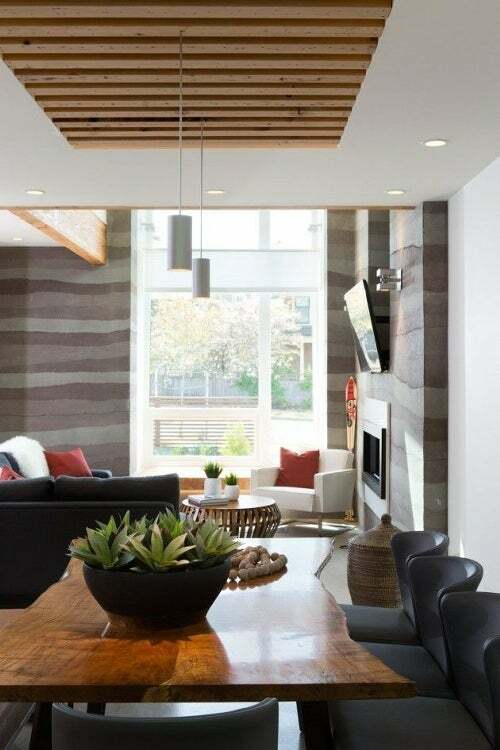 But most home owners prefer having them indoors because (1) these walls circulate fresh air in the home and keeps the residents healthy and (2) they look good indoors than outdoors. This is a "Low Impact Woodland Home”, and it is actually one of the most popular hobbit homes around. To build this amazing eco home, all that Simon Dale needed was some stone and wood scattered in the neighborhood and some straw bales, which was used for sealing the gaps in the walls. The roof, which was made of plastic sheeting and mud, is now a grass landscape. 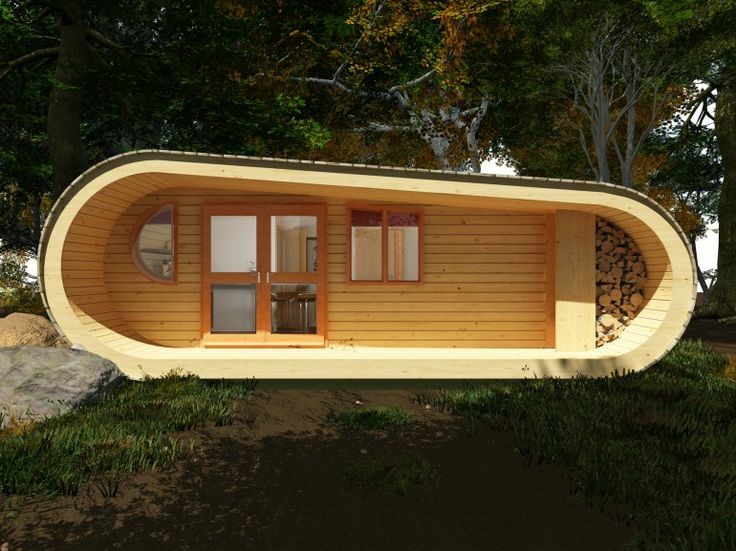 To build a tiny home like this, you only need 3000 euros. 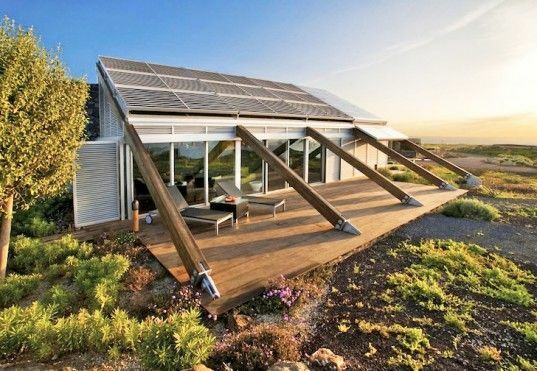 So, that's another budget eco home in our list! 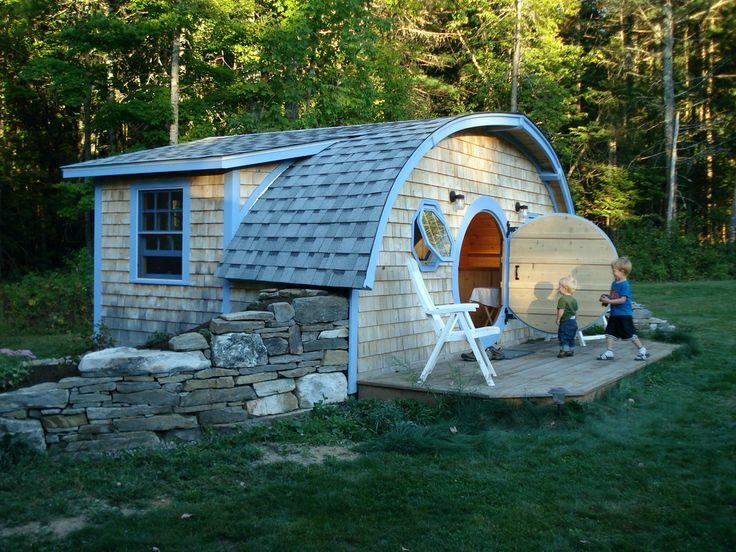 Wooden-wonders.com is a premium hobbit home builder in the United States that specializes in building tiny homes with playhouses, chicken coops, and even dog homes. 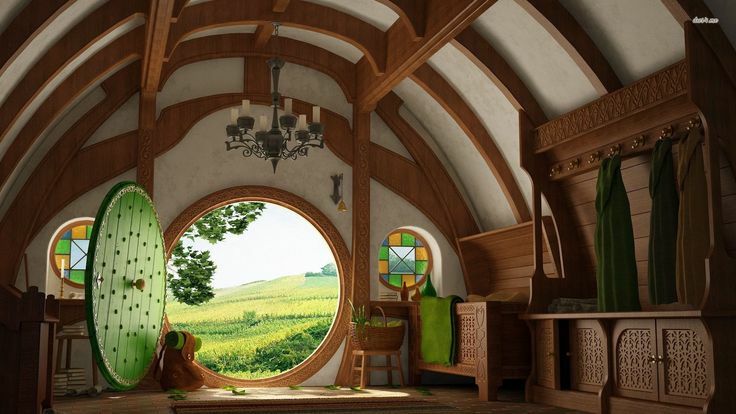 If you request, they will even build large custom hobbit homes in addition to cottages, sheds, studios, and saunas. Is there a better way to delight your kids? 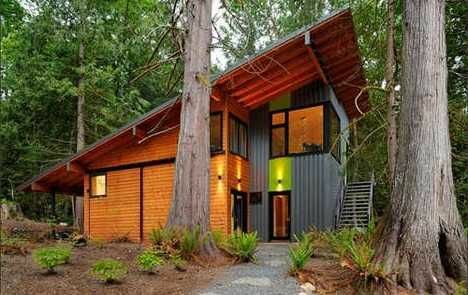 If you are looking for tiny eco homes in under 1,000 square feet, this one is for you. It's built in an area of 973 square feet and has a kitchen, a couple of bedrooms and two baths. Also, there is an open living room, which has a fireplace, three windows, and a set of French doors to let more light in. 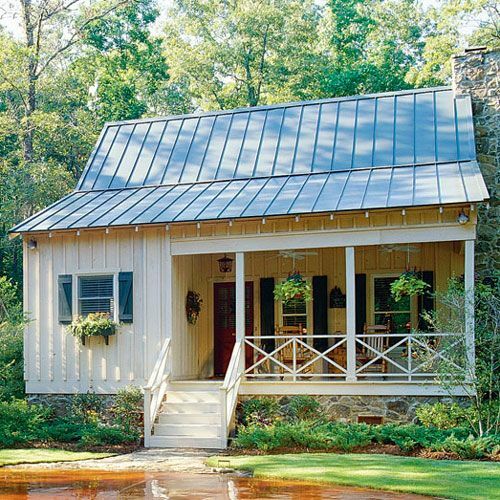 No matter what season it is, this home keeps you cool and happy.